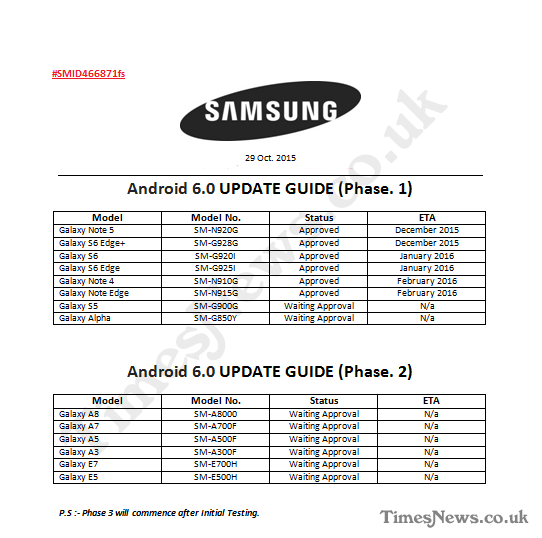 Leaked Document Shows Samsung Marshmallow Update Schedule | Android News at HighOnAndroid.com! As you can see in the above leaked document, Samsung plans to roll out Marshmallow to the Note 5, S6 Edge+, S6, S6 Edge, Note 4, and Note Edge from December 2015 through February 2016. 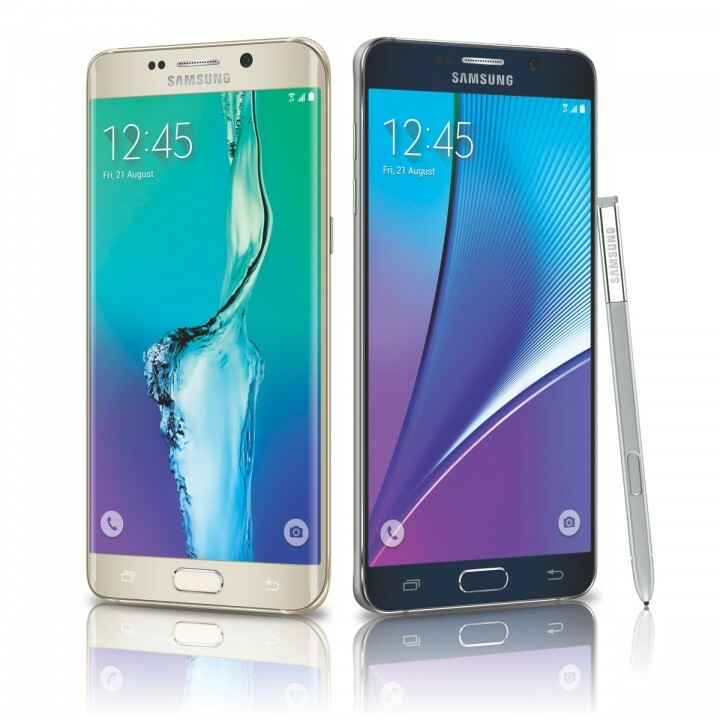 The Note 5 and S6 Edge+ are the only Samsung devices slated to see Marshmallow before the end of 2015. The Galaxy S5 and Alpha are both scheduled to receive the update but not have an ETA as they are still awaiting approval. The phase 2 phones for the updates includes the A8, A7, A5, A3, E7, and E5. Who knows when these updates will roll out but at least Samsung has plans to get 6.0 to these devices. With the sheer number of devices Samsung rolls out each year it is a whirlwind to keep track of their update schedule, but at least now we know when the big devices will receive their update. I’m ready for Marshmallow on my Note 5 and S6 Edge+, bring it on! Next story FREE Remote When You Purchase A Shield TV! Previous story HOA Weekly Wrap: November Big Android Giveaway!